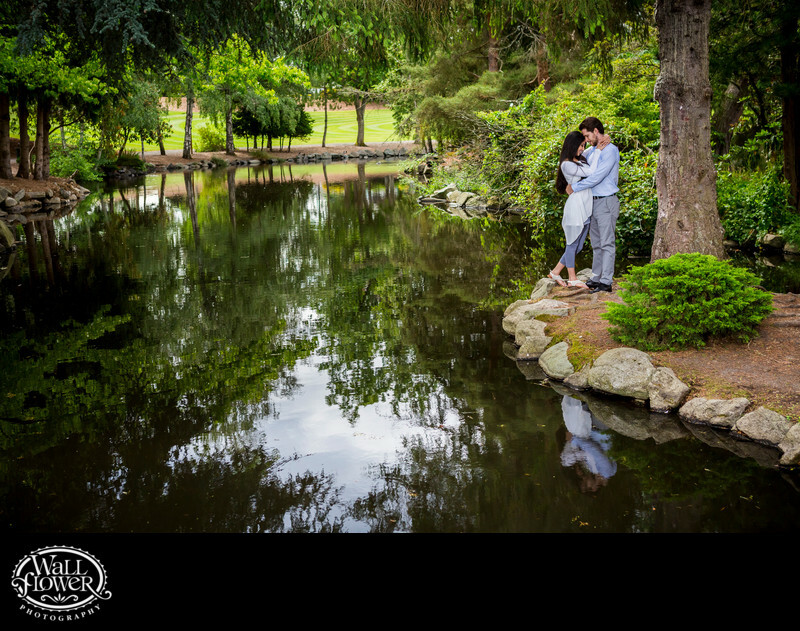 The large pond at the entrance to Point Defiance Park in Tacoma, Washington, is usually my first stop in my engagement portrait shoots here. I love that, from this angle, I can get a nice wide-angle view of the beautiful setting without capturing any of the cars, roads and buildings nearby. A sweet candid-esque pose was just the right look for this image.